At its core, the Jordan Brand was created to produce performance engineered basketball sneakers for the top hoopers on the planet. While it has become more of a lifestyle brand in today’s industry, the Jumpman still puts out hoops-ready models the likes of the Super.Fly, the Jordan 33, and the Supreme Elevation you see here. Dressed in a sleek combination of white and black that adds a flashy bubblegum pink for a hit of color, the Elevation adds two midfoot straps to its construction to aid in a player’s lockdown fit. 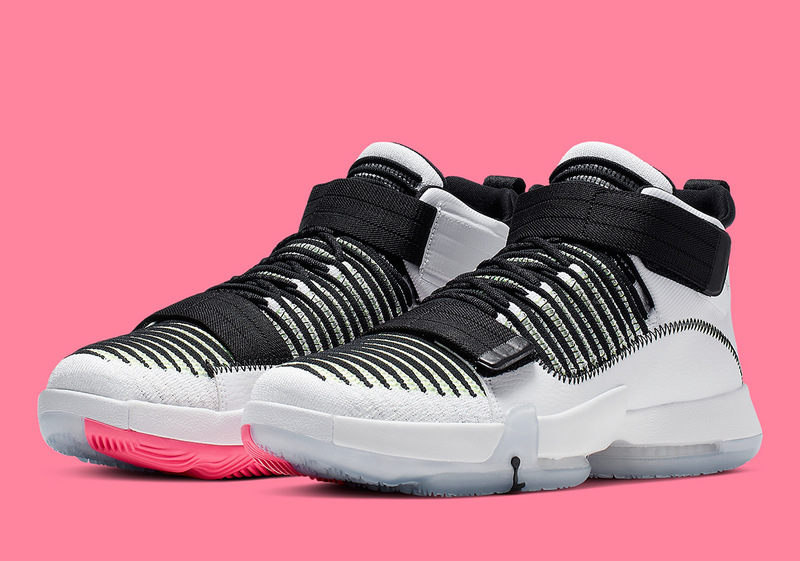 Aesthetically, it boasts a ribbed Flyknit upper similar to that of the Jordan 32, and a clever “AIR” logo on its heel that swaps its “A” out with a Jumpman decal. For on-court performance, this model boasts nearly a full Zoom Air sole unit with a thick midsole to provide the wearer with even more comfort. Keep it locked for update’s regarding this particular color’s drop and check out our Jordan Release Dates page for info on other upcoming drops on the meantime.